The third release from Bogota and Berlin based label Big In Japan (a label setup by former Ninja Tune employees Seb Jenkins and Liam Nolan), is by a new group creating a lot of buzz in the Colombian underground scene, La Payara. La Payara is a new project by Colombian producer Claudio Tantimonaco. Heavily influenced by artists that mesh traditional sounds with electronic beats (like Dengue Dengue Dengue, Nicola Cruz and El Remolon), La Payara fuse folklorica, with psychedelia and cumbia. La Payara is Spanish for Vampire Fish and they can be found in certain rivers in Colombia where Claudio used to fish with his father as a child. They are renowned for their psychedelic colours and their bite' much like the music of La Payara. Having seen Claudio play on New Year's eve, Li (the lead singer from Bomba Estereo), was blown away and immediately invited him to play at Bomba Estereo's festival (Estereo Beach) on the Caribbean coast. 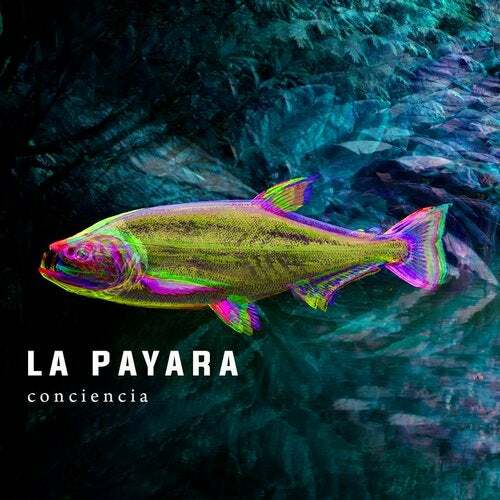 Since then La Payara have gone from strength to strength playing the club circuit in Colombia, Corona Sunset events and they are currently on tour with Bomba Estereo as part of the Oktoberfest music events in Colombia. The title track, Bogota is an homage to the Colombian capital. Mixing folklorica with an explosive and aggressive bass reflects a city filled with influences from all over the country mixing together, sometimes beautifully, sometimes unsympathetically. Pez Psicodelico (Psychedelic Fish) is an upbeat rolling house track with a dubbed out bass and a sprinkling of vocals that can be heard by the street vendors selling avacados, coconuts and juice you'll find throughout the coast in Colombia.